Last weekend, hundreds of alumni, friends and donors of the AGBU New York Summer Intern Program (NYSIP) gathered in New York City for a weekend full of reunions and celebrations to honor the program’s silver jubilee, pay tribute to the visionaries who turned it into a flagship endeavor, and recognize the committed supervisors who nurture the professional aspirations of the students year after year. And click here to listen in on what the Armenian Radio Hour of New Jersey had to say about it too. 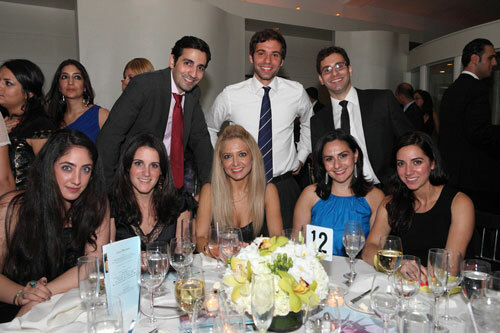 This past Saturday, the AGBU New York Summer Intern Program (NYSIP) celebrated its 25thanniversary with a silver jubilee weekend packed with activities that attracted hundreds from several countries, half of whom were alumni of the organization’s three internship programs in Moscow, New York and Yerevan. A full press release and gallery is coming soon, but here are a few photos of the fun so far. Congratulations NYSIP! The AGBU Iraq chapter celebrated its centennial in early 2011. 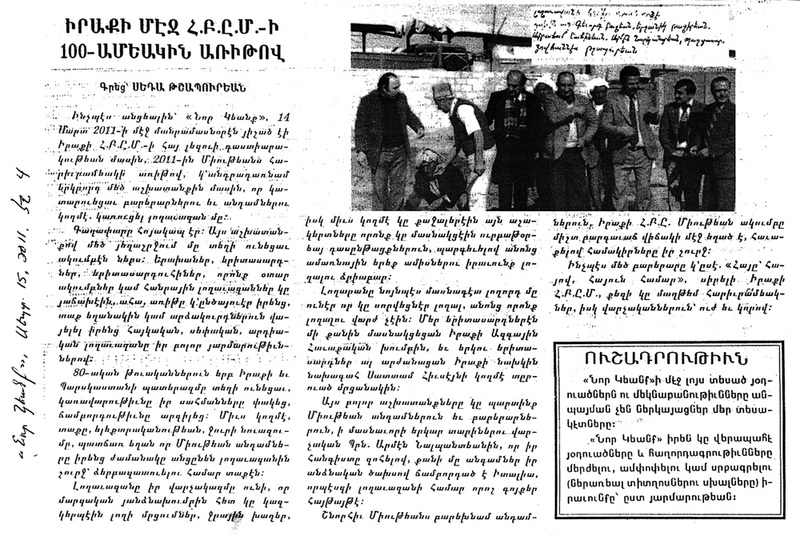 The following Armenian article highlighting the event, was published in the September 15 issue of Nor Gyank newspaper in California. Left to right: Deputy Director of AGBU’s representation in Armenia Hovig Eordekian, pianist Vatche Mankerian, violinist Haroutune Bedelian and pianist Lorna Griffitt. Under the auspices of the AGBU Western District Committee, the AGBU Glendale/Pasadena and San Fernando Valley Chapters have organized a “Celebration of the 20th Anniversary of Armenia’s Independence” on Sunday, September 18, 2011, to take place at 6:30 pm, at the AGBU Center in Pasadena. Grigor Hovhannissian, Consul General of the Republic of Armenia, Archbishop Hovnan Derderian, Primate of the Western Diocese, as well as other dignitaries and AGBU representatives, will be in attendance. AGBU Sofia is gearing up to launch an impressive series of events celebrating the 20th anniversary of Armenian independence. 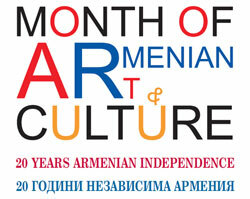 Starting with a photo exhibition, titled Crossroads, featuring the works of Bedros Azinyan at the Anima Art Gallery (September 9 to 28), the group has also organized a concert by the AGBU Sofia Chamber Orchestra, dubbed “For You Armenia,” on September 18 at the Concert Hall of NMA Pancho Vladigerov. The following day, an exhibition devoted to the work of architect Agop Karakashyan, titled Architecture and Painting, will open at the Union of Architects in Bulgaria and continue until October 23. In celebration of the 20th anniversary of Armenia’s independence, an official reception will be held at the Embassy of the Republic of Armenia in Bulgaria on September 21. Another art exhibition, Armenian Shapes, will display the works of Zara Manucharyan at the Anima Art Gallery from October 3 to 23. The final event of this two-month celebration will be a Charity Ball at Sofia’s Sheraton Hotel on October 8. Further information is available from AGBU Sofia at sonyavak@gmail.com. Click here to download a PDF (1.2 MB) of the event program guide.